Our impact stretches far beyond the boundaries of our campus. We engage positively with stakeholders across Coventry and Warwickshire and the wider West Midlands. Our regional impact study shows that in 2015/16 we generated £1.04 bn GVA per year to the regional economy and supported 18,600 jobs across the West Midlands. We're committed to supporting economic growth in our region; we're active in the Coventry and Warwickshire Local Enterprise Partnership and are developing an Innovation Campus at Wellesbourne. Optimised for true collaborative working, we're inviting inspirational businesses to join us there to develop a suite of knowledge-intensive activites. We work with hundreds of primary and secondary schools, both encouraging young people (especially from less advantaged communities) to consider higher education, and through teacher training partnerships, arts projects and campus visits. 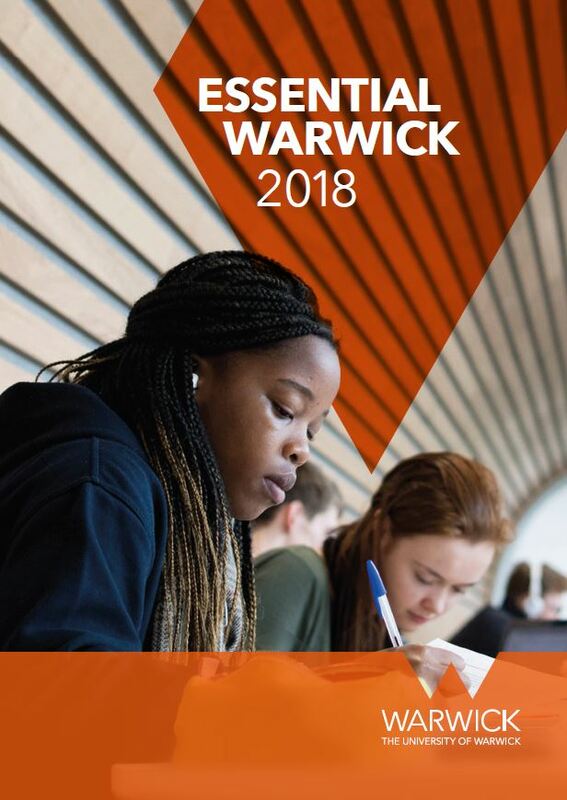 Warwick Arts Centre's Creative Learning Programme reached 22,831 people in 2016/17 and more than 300 children from challenging backgrounds attended an aspiration day to introduce them to the world of university. Our WMG Academies for Young Engineers in Coventry and Solihull are equipping students with technical skills for employment or Higher Education through an innovative learning environment. And we're working with employers to diversify our degree apprenticeship programmes, enabling higher apprentices to study for a degree while working. We work in partnership with our local authorities - we are key players in the development of a ten-year cultural strategy for the City of Coventry (2017-2027) and a principal partner of Coventry's winning bid to become the UK City of Culture 2021. Warwick Arts Centre is one of the biggest multi-artform venues outside London. On average, we welcome around a million visitors each year to our theatre, dance, music, comedy, and visual arts events and, with our current building improvement project, we aim to double this by 2021. Our campus sports facilities are used extensively by local schools, clubs and individuals, and we host major national and international sports events. More than 2,500 of our students are registered with our volunteering network, Warwick Volunteers, and in 2016/17, gave more than 13,000 hours of their time to local schools and community groups.